Brighton was sunny and vibrant on 16th and 17th April 2015. No, there was no music festival, instead a plethora of clinical and scientific sessions lit up the minds and souls of laser and light enthusiasts. And a real feat it was as we celebrated the International year of Light and Light based technologies. 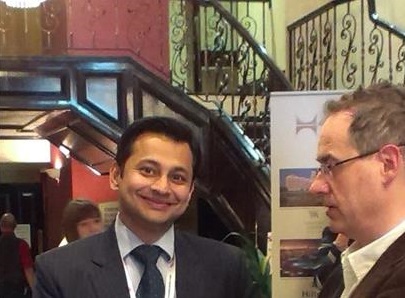 Besides a rich and varied programme encompassing use of lasers and light based devices in dermatology, the conference catered to folks with specialist interest in photodynamic therapy, biophotonics and photodiagnostics. Other special highlights of the conference were sessions home use light devices and the great debate on ”Training and Qualifications for Laser/IPL Practitioners; Are You Prepared for the Revolution?” which I co- chaired. We were privileged to have experienced guest speakers and this year’s Vasant Oswal oration was delivered by Prof Keyvan Nouri, who gave a critical analysis of lasers in Dermatology. This year’s pre-conference courses were very well attended. I conducted the ablative laser course and was thrilled to see the interest candidates have in use of ablative lasers. As the chairman of the scientific committee, I felt that the conference fully deserved the 18 CPD credits. It wasn’t all science, there was some post course relaxation too! What a fantastic dinner venue the Royal Pavilion turned out to be. Delegates were truly gob smacked by its quirky beauty. I took home lots of new ideas to improve my patients’ skin health. Adios Brighton. Its Darlington next year, can’t wait! !